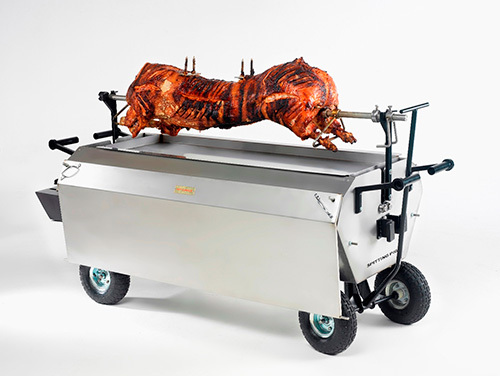 Before you buy a hog roaster, take a look at our new and exciting BBQ set that could go with it! 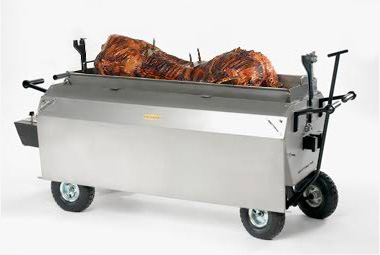 Our platinum range barbeque extender really transforms our hog roasting machines and takes them to the next level! There’s no more laidback catering solution that a BBQ, and this accessory makes it possible to bring chilled out vibes and delicious chargrilled flavours to every occasion. 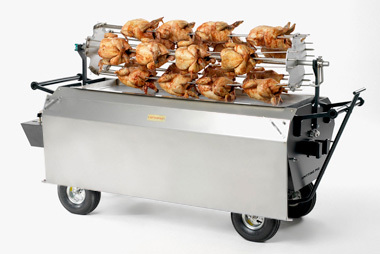 The barbeque set plate fits on top of our Platinum hog roasting machine and the doors which are usually used when cooking are removed and moved to the side of the machine. This means there is maximum surface area on which to cook a whole variety of scrummy BBQ products. Heat comes from two burners that run the length of the roaster, the gas taps can be thermostatically controlled to ensure the right temperature throughout the cooking process. The BBQ set is great for cooking burgers, steaks, chicken wings, sausages, fish portions, and kebabs – all your barbeque favourites. The lower layer can be used to cook non barbeque items like jacket potatoes, soups and vegetables. The versatility of this machine is increased further! 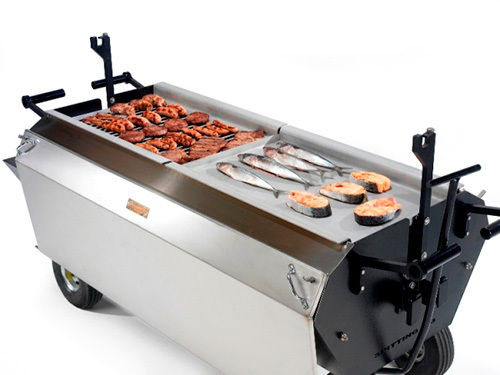 If you’d like to know more about our BBQ set or any other of our upper level cooking accessories, get in touch today.